As a fledgling business you may well need to call upon your bank or building society for assistance in raising much need funds to get things off the ground. This can be done in a number of ways such as raising capital against a mortgage on a home or existing business property. However in these recent financially uncertain times where property prices seem to be decreasing and mortgage lenders are reluctant to agree to mortgages without suitable guarantees it may be easier for all parties if an overdraft is put in place. Quite simply an overdraft is a facility attached to your bank or building society account which allows you to borrow – or withdraw – more money from your account than is actually there. This money is then paid back as funds are added to your account and an agreed interest rate is charged for the use of such a service. One of the most important aspects of maintaining an overdraft is to be aware of exactly how much money is going into and coming out of your account at any given time. Nearly all banks and building societies now operate an online banking service which they will insist you use if an overdraft is agreed. This facility allows you to check on monies coming in and going out and also allows you to ensure that all charges and fees are paid as and when they are due. You will have to enter into a written and legally binding agreement with your bank or building society before any overdraft is agreed and even then it will only be agreed once your bank manager – or business banking advisor – has thoroughly checked facts and figures and has successfully carried out a credit check. You should be aware that a overdraft can be terminated at any time after it has been agreed if the bank or building society deems it appropriate. This will normally only happen if they feel there is a suitably high risk of their not retrieving their money. A key element to operating an overdraft in the correct manner is to make sure that all payments made from and to the account are made on specific dates. 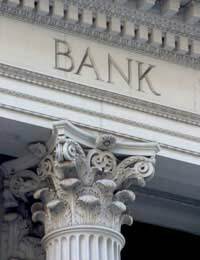 A bank manager or business banking advisor will want to be sure that such arrangements can be met before he or she enters into an overdraft agreement. You too are obliged under the terms and conditions of any overdraft to ensure that this is the case. In some instances, although the property market appears to be slowing down, a bank or building society will ask that you provide some securities against any monies you borrow or avail of using an overdraft. These are called debentures and are written guarantees added to your mortgage. Simply put a bank or building society will ensure that if your business fails or you are unable to pay back the money you owe they will have a claim against the proceeds from any property sale along with Her Majesty’s Revenue and Customs. In essence any other creditors fall further down the list if this is the case so that your bank or building society, HMRC and larger creditors are paid first usually at a percentage per pound. It is recommended that before you enter into any agreement with a bank or building society reference an overdraft that you consult with your accountant if you have one or indeed consult a small business advisor; it is important to ensure that you take all the steps you can to reduce the risk to yourself and any organisation providing you with such facilities.